BMW release software updates periodically to rectify previous bugs or improve functionality. As these vehicle’s age any software faults become apparent and are released in the way of a ‘flash’ update. Flash software updates completely rewrite a control units operating data (OS), much like when manufactures of mobile telephones or computers release an update. There is however a difference in the update process. A complete software update addresses system wide issues, features and upgrades any of your car’s electronic control modules (ECUs) that require it. To make sure you are getting exactly the update you need, our BMW diagnostic computers will first check the hardware number on each of your ECUs and determine a measures plan for compatible software versions. Failure to update modules in this fashion may result in communication problems from ECU’s. 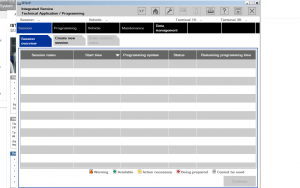 When we carry out software updates we use the BMW dealer tool which (via the internet) is linked to BMW AG, this is to ensure your vehicle has the very latest software available. It is also imperative that the vehicle has a stable voltage (of 14 volts), this is achieved by using an intelligent battery charger.